Defence Turkey: First of all we would like to thank you for your time. Simsoft has been providing services to the defense industry since 2006 and it is obvious that Simsoft is gaining momentum and growing rapidly due to its capabilities and technology. Could you please inform us on your facilities and personnel structure, engineering and design capabilities, and the history behind the last 12 years of successful achievement? Simsoft was established in 2006 at the KOSGEB Incubation Center located in ODTÜ Teknokent. The development story started with R&D projects in the areas of simulators, military software and serious game systems and have continued to this day. We have developed and installed hundreds of simulators which are being used by both civil and military organizations and which have already delivered; including many software products of various scopes and areas to very well-known international organizations. Initially, we established an effective “Quality Management System” ISO 9001:2000 and applied AQAP and MIL-STD standards on projects since the onset. We have steadily continued to improve our quality and project management systems and have been certified with CMMI Level 3 since 2014. We also have “NATO and National Confidential” Level Facility Security Reference and ISO 27001:2013 Information Security Management System Certification. We have received many awards for successful projects and work we have done thus far. We can provide some details regarding some of these projects: Simsoft was awarded for being one of the top 50 technology companies in Turkey and 500 in European, Middle Eastern, and African countries by a Deloitte research in 2015. Simsoft was again ranked among “Turkey’s Fastest Growing 50 Technology Companies” in 2017 by Deloitte’s research. Simsoft has continued to demonstrate its growing success in both national and international stages with various awards such as “Software Design” award by Aselsan, “Qualified Collaboration Development Award” by Havelsan, “Best Serious Game” award by Kristal Piksel, and “Best Mobile Game” award by I/ITSEC (World’s largest modeling, simulation and training conference) again in 2017. Simsoft currently operates under five main groups: Simulators, Defense & Aerospace Systems, Visual Systems, Gaming & Simulation, and Information & Communication Technologies. Each group strives to develop advanced technology services and products in its area of expertise. Simsoft’s head office is at ODTÜ Teknokent Ankara and it has also offices and subsidiaries in Bilkent Cyberpark, Teknopark Istanbul in Turkey and Ashgabat-Turkmenistan, Kuala Lumpur-Malaysia and Orlando-USA abroad. We can say a few remarks about the reasons for Simsoft’s development and successful growth within 12 years. Firstly, a harmonious management system based on scientific principles in the working environment has made the employees more fruitful and efficient. Simsoft emphasizes the importance of personal development of employees. Simsoft offers a good training and working environment to our carefully selected staff. The young and dynamic team experienced in this way have developed remarkable projects and added value within the country for many years. Simsoft has also exported many competitive products to the global market with its constantly improving quality management system. Defence Turkey: You have been making an important investment in R&D. In this respect, what would you like to say about your design and engineering capabilities as well as the R&D and infrastructure investments planned within this context? Could you please provide details about your new R&D activities, new products and new technologies? In which areas are you aiming to put forth products of superior technology in order to end our foreign dependency? Simsoft has three R&D centers and one test and integration facility in Turkey (ODTÜ Teknokent, Bilkent Cyberpark, Istanbul Teknopark, TIMCO Test and Integration Facility) and three R&D centers in Orlando, Florida/USA, Ashgabat/Turkmenistan, and Kuala Lumpur/Malaysia. Based on the project requirements, Simsoft manages R&D projects with own employees at customer facilities. Simsoft serves as a certificated subcontractor to main actors of the defense industry (Ministry of Defense, Aselsan, Havelsan, TAI, SSM etc.) Most of the projects, completed or ongoing, are R&D projects. Simsoft manage these projects with two approaches according to requirements. The first one is indoor (Simsoft facilities) development, and the second is outdoor (customer facilities) development. Especially for the defense sector (which constitutes half of Simsoft’s revenue), Simsoft has years of experience in managing R&D projects and R&D centers, indoor and outdoor. Defence Turkey: You assumed responsibilities in crucial programs with your simulators for Land Vehicles and Naval Platforms as well as fire simulators. As one of the very few companies in Turkey in this area with depth of field, what would you like to say about the capabilities and products? What are the projects that you have accomplished and ongoing programs carried out? As weapon systems and platforms are becoming more sophisticated and advanced, the need for training staff and operators to use these systems and platforms effectively in a short period of time is recently gaining more importance. The success of a critical mission will be based on trained personnel who execute critical decisions during uncertain and challenging conditions. Simsoft develops simulator systems for sensitive and critical missions especially on Land Vehicles and Naval Platforms. Those simulators are designed to accomplish the need in full through arranged special scenarios in the direction of desired training results. Developed special scenarios are integrated with assessment evaluation abilities, and, therefore, providing maximum benefit for trainees. Developed simulators reflect vehicle dynamics with high fidelity and they provide accomplishment for the required training through desired scenarios. Using the latest technology, Simsoft develops simulators offering effective and efficient training and immersive user experiences. With its hi-tech advanced simulation framework SimAll, Simsoft offers a wide range of simulators and simulations for different purposes such as driving, shooting, tactical and operational training and decision support. Simsoft Simulation Framework, SimAll makes it possible for the company to develop any simulator in a relatively short amount of time with competitive conditions. The main military products are; Convoy Simulator, Firearms Training Simulators, Border Security War Game Simulation, Crew Training, Anti-Air Gun Training, Marine/Bridge Training Simulators, Truck Simulators, Bus simulators and Car Simulators. Simsoft also has simulation based tactical and operational game-based simulation training systems for aircraft rescue and firefighting teams. Over many years Simsoft has gained significant experience and expertise in providing simulation-based training systems for defense and security users with challenges. Now we have been announcing the new evidence based simulation framework enhanced with Artificial Intelligence for training. We have already started the development of the new generation the SimAll 2.0 Framework using advanced Artificial Intelligence to make adaptive and evidence based training possible so that the training process will be more focused and individualized. In order to strengthen reality perception while representing real life situations we have been working on AR- VR technologies and R&D activities in Deep Learning and Artificial Intelligence. Defence Turkey: You have sound capability in Naval Simulators. How do you assess your technology in making you stand out from other companies operating in your field in global markets? Simsoft develops simulators for diving and floating marine platforms. These simulators are being used for sailing training of personnel in maneuver, approaching, and leaving. These are also used for training of users who are responsible for critical mechanical and electronic systems. Efficient training systems are provided for corporations through real lifelike, all kinds of geographic, meteorological conditions, and incident based scenarios by naval system simulators. Some of the capabilities regarding naval simulators are Special Training Scenarios Management, Various Environment Conditions, Advanced Visualization, ECDIS Simulation, Performance Evaluation, Recording, Analysis and Debriefing. Our experience in simulation gave us a chance to be involved in defense projects. We produced our first prototypes considering the needs of defense and learning from experts. In addition to the experience gained, we are an agile company and produce fast and sound products in a tailor-made approach. Our goal is to reduce domestic imports in maritime training by producing simulators and simulations that will compete in the international market. We have a lot of high quality software engineers and experts from universities which serves the needs of our customers by providing the integration power of simulator, simulation, virtual/augmented reality, learning management systems, computer-based training, maintenance training, and platform dependent software development. Defence Turkey: Simsoft runs projects and creates virtual system products for personal and corporate levels by accurately accomplishing intended population and needs analysis. Could you please enlighten us about your products, capabilities, technology, programs, and projects in virtual systems? Simsoft’s Virtual Training Systems focuses on Virtual and Augmented Reality Systems, Computer Based Training and Image Generator. 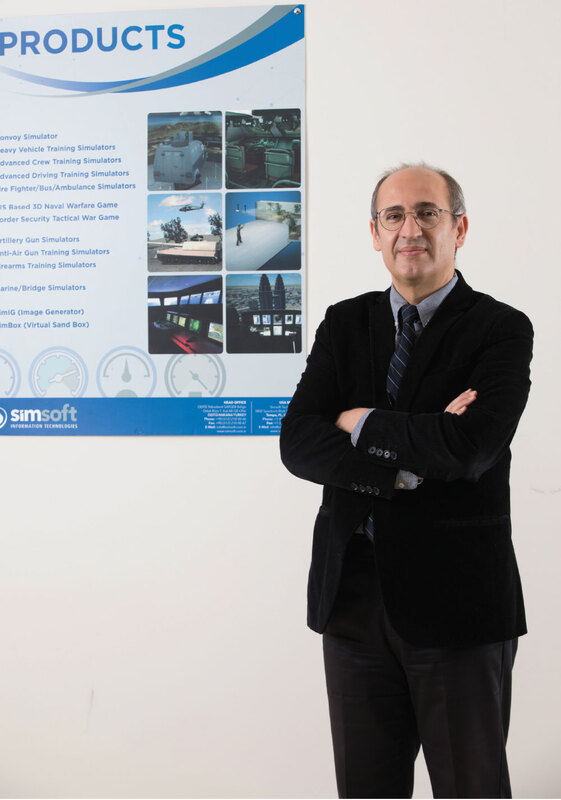 Simsoft develops user-specified solutions by immingling virtual and augmented reality technologies with its experience in modeling and simulations. Developed systems are used to serve the defense industry, science centers, education institutions, and the private sector. Computer-Based Training is one of Simsoft’s key application areas. Computer-Based Training provides a learning model that is unbound by time or location due to its use of information and communication technologies and is designed to present effective training by supporting multimedia content. SimIG, Simsoft’s Image Generator product, is a real-time Image Generator (IG) which renders large area databases with high-quality graphics at high resolution and fidelity. Simsoft has improved SimIG’s capabilities named IMGE to be Turkey’s National IG which is to be used in all flight simulators. Training system products faces new challenges every day. Proximity, technology, economics and extended partnerships are the new topics. Simsoft takes proactive initiatives to address these topics. It is important to provide the customer with where, when and how training is requested. When all this is considered; our primary goal of virtual training systems is to developed highly efficient products with cost-effective solutions. Thus, we can reduce the time spent for training and keep the throughput high. Another important issue is the content development for virtual systems. The user is able to interact with the components on the system and perform tasks in a structured mode. When we prepare the content, we can work with subject matter experts to analyze customer needs fully. The content provided to the user in the systems increases user engagement. As a result of all this, we can observe that the customers are more successful in practice and the fault rate is significantly reduced. 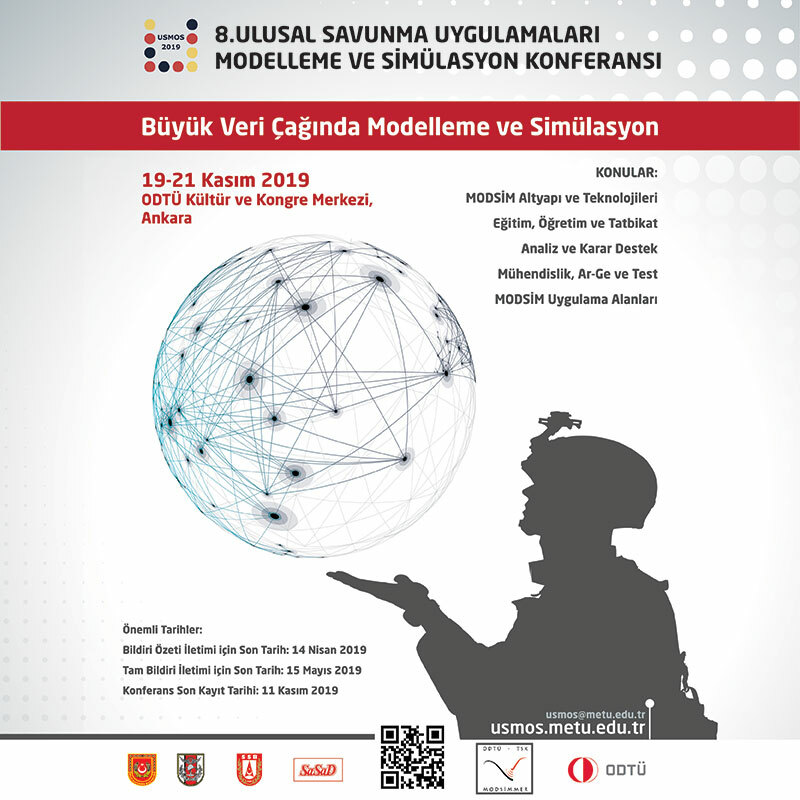 Defence Turkey: It is well known that Simsoft also provides software solutions for Weapon System, Command Control, Marine System, Avionic and Embedded System and Test systems; How do you assess your capabilities and products in defense systems? What are your ongoing programs and projects? Simsoft develops and delivers software for weapon systems, air defense systems, artillery and surface to surface missiles. We have the capabilities which include Software for Sensor Systems, Weapon Control Systems and User Interface, Algorithms for Target Detection, Target Allocation, Data Fusion Communication and Antenna Management Components. Marine System Software collects data from related sub-sensors in required format and frequency, records and displays. Capabilities in this domain include Data Control and Display & Power Units, User Interface, Data Recording and Analysis Software. Avionics Software employed in electronic systems of aircraft, satellites and space vehicles that comply with regulated safety and reliability requirements is developed by Simsoft. Some of our capabilities are Real-time Operating Systems, Mission-critical System Software, Embedded System Software, Hardware and Integration, Development of Symbology Library, GIS-based Mission Planning, Mission Analysis, Database Management Procedures, Sensor Mapping Analysis, Graphical Analysis. Simsoft also possesses a software testing unit that develops Test Software and provides software testing services for the conduct of third-party testing services in mission and safety-critical projects. Defence Turkey: Simsoft also provides games solutions; Could you please share some information about your games for military applications? Simsoft develops serious game systems through its sectoral level infrastructure and experience on simulation systems and tactical game applications. Serious games are real incident simulations that are intended to direct players in designated training and target purposes by using the fun focus of traditional games. Serious game technologies provide possibilities for players to accomplish real lifelike processes such as analyzing, decision, planning in a virtual environment. Simsoft’s Gaming and Simulation applications have been used by many users from the military sector. TAOSIM is a multi-user serious game developed for training Border Security staff in a friendly country. This game has various advanced features – the first one found in such projects and with literature of that kind. The users of TAOSIM interact via large touch screens in order to collaborate and perform the given tasks of the training scenarios. TAOSIM provides a risk-free environment for tactical plan evaluation by showing the results in order to train the leader personnel who is responsible in tactical troops. It helps to build the skills of personnel in tactical planning and provides experience by using realistic scenarios. We are offering high fidelity mathematical models, New Model and Behavior Creation Support, Artificial Intelligent (AI) Behavioral Model, Multi User Support, 1000+ Objects (Border Security, Land, Air, Sea) Support, Limitless Scenario Generation, 2D and 3D Map Simulation. We also have other products delivered to some governmental entities. ARSIM is a tactical and operational training simulation system for aircraft rescue&fire fighting. We are offering; two stage training (one-on-one and group training), computer based training support, multi touch screen support, tactical training, 2D/3D Visual Content, Game-Based Learning, Content creation, test database and test creation, performance evaluation and feedback, student and user management, scenario creation and management solutions. TOPFIRE is also a tactical and operational training system for firefighting. It’s a 3D simulation based training system aimed for Firefighters. The system supports unlimited scenario creation capability for fire, rescue and decontamination. Multi touch table or screen controller, 3D map, AI behavioral support, multi user play, realistic fire simulation, realistic 3D vehicles and objects are a few features of Topfire. Defence Turkey: Simsoft possess striking design and engineering capabilities. Moreover, you are a notable engineering company in Turkey. Within this framework, what would you like to say about your existence in foreign markets and your collaborations with foreign partners? Could you please inform us about your ongoing programs in international markets? Simsoft’s goal for the medium term is to become one of the worldwide known companies in the areas in which it operates. We are intensively involved in international fairs, conferences and events, and we follow new technologies and products at these openings. We are conducting R&D studies in priority areas that we have identified. We are presenting products resulting from R&D studies in domestic and global markets. Depending on the projects we are planning or conducting, we prefer to have representative offices in some countries such as Ashgabat-Turkmenistan, Kuala Lumpur-Malaysia and Orlando-USA. In some countries, we seek reliable contacts that are appropriate for our business discipline. Armoured Personnel Carrier Training Simulators (Turkmenistan, Bangladesh). The positive results of our export-oriented activities carried out abroad have started to materialize. In the evaluation organized by the Turkish Exporters’ Assembly (TİM), Simsoft was announced among “Turkey’s Top 500 Services Exporters” in 2017. We believe that this success will grow even further in the coming years. 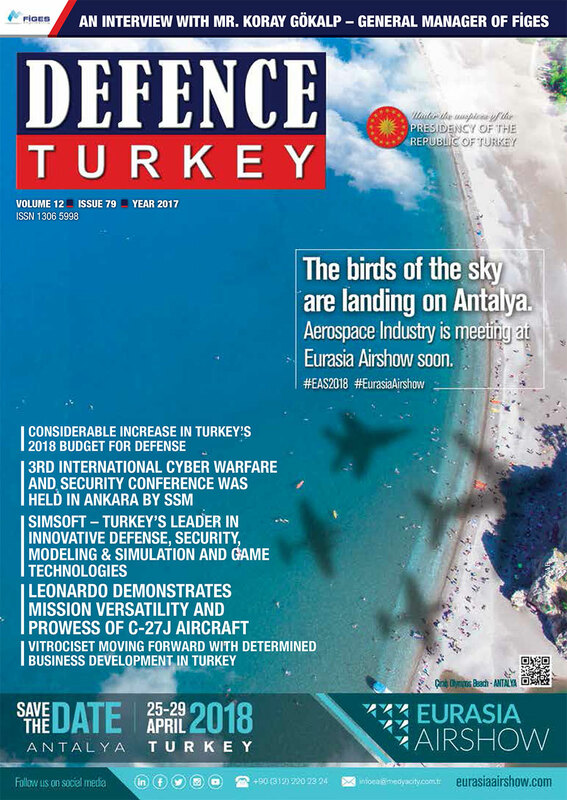 Defence Turkey: Where is Simsoft positioned for the next decade, especially in the defense industry? Simsoft’s vision is to be one of the global leaders developing technology in the areas of Defense, Security, Modeling & Simulation and Game Technologies with the most innovative modeling and simulations, supported by strong research and development ability and internationally approved and accepted solutions. Defence Turkey: Would you like to convey a message to readers of Defence Turkey magazine?